CSEI was launched in the days after Hurricane Maria when large swaths of the Islands were still without power. 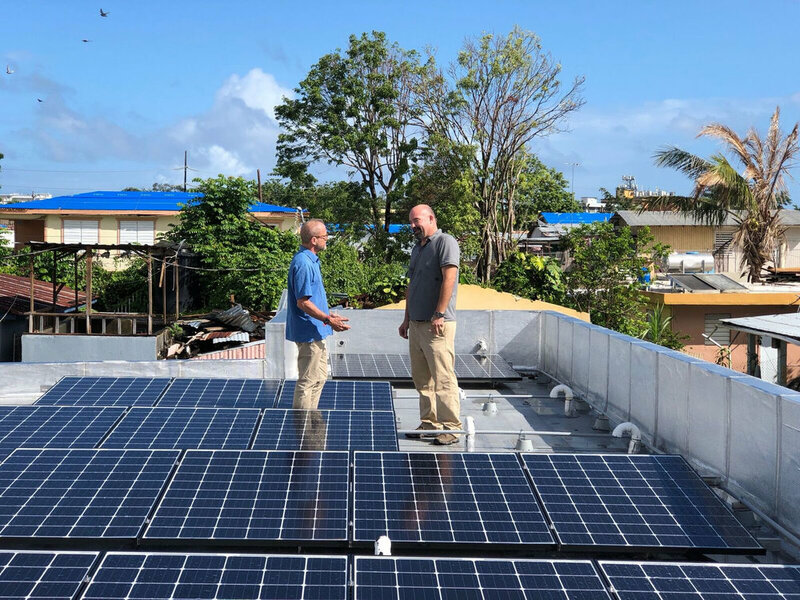 The Community Solar Energy Initiative (CSEI) was launched in the days after Hurricane Maria when large swaths of the Islands were still without power. 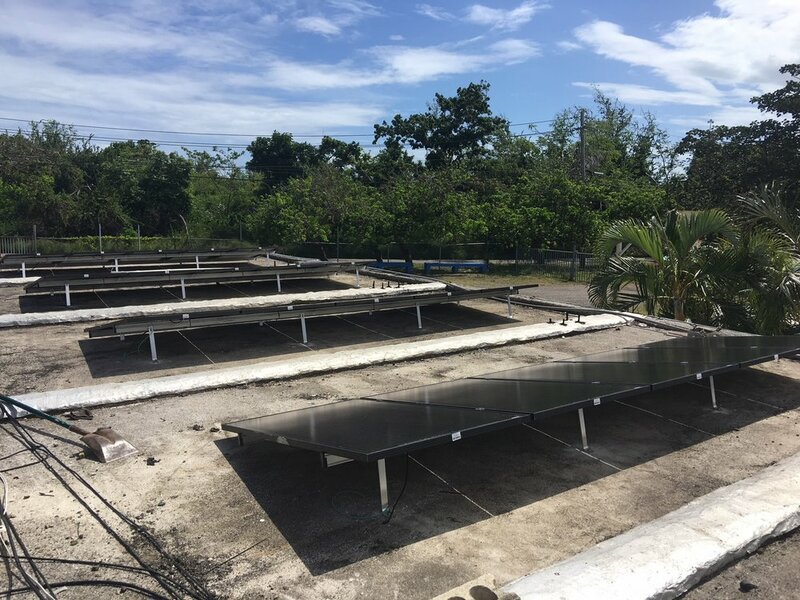 RPPR provided technical and financial resources in the form of direct donations for the installation of solar energy systems for critical assets in the communities most impacted by Hurricane Maria. RPPR partners with community leaders to assess their critical energy needs and identify sites where solar energy systems would generate the greatest community impact. To date RPPR has facilitated the development of 28 solar microgrids in 11 municipalities across the Islands. Initially, support for 10 systems was deployed during the Emergency response phase. Since then, RPPR has completed full system installations in 10 Community Hubs and supported installations in a further 8 community assets including supermarkets, schools and barbershops. Moreover, funding has been secured for a further 38 sites across an additional 17 municipalities, including Vieques and Culebra. Since the launch of the initiative in the weeks after Maria, we have facilitated the funding and installation of solar microgrids in 28 community centers and organizations across the Islands and plans to complete 30 more sites by the end of 2018. The redundancy provided by these systems ensures the continuity in the provision of vital community services related to health, food, housing and emergency management. We engage community groups that provide services in historically underserved communities throughout the Islands and provides technical and financial resources in the form of direct donations for the installation of solar energy systems in communities most impacted by Hurricane Maria. We partners with community leaders to assess their critical energy needs and identify sites where solar energy systems would generate the greatest community impact. RPPR is focused on supporting resilience-building in the Island’s most impacted and vulnerable communities. We have installed four solar microgrids in three communities of the Caño Martín Peña sector of San Juan. Caño Martín Peña’s (San Juan, PR) eight communities thrive along the Martín Peña Canal, a mangrove-lined waterway between the San José Lagoon and San Juan Bay. Pabellon de La Victoria serves the community of Vallas Torres in Ponce, Puerto Rico. They offer workshops and an after-school educational program which plays a large role in the community’s economy. After hurricane María, this community center served as a hub and distribution center for incoming supplies and medicines. 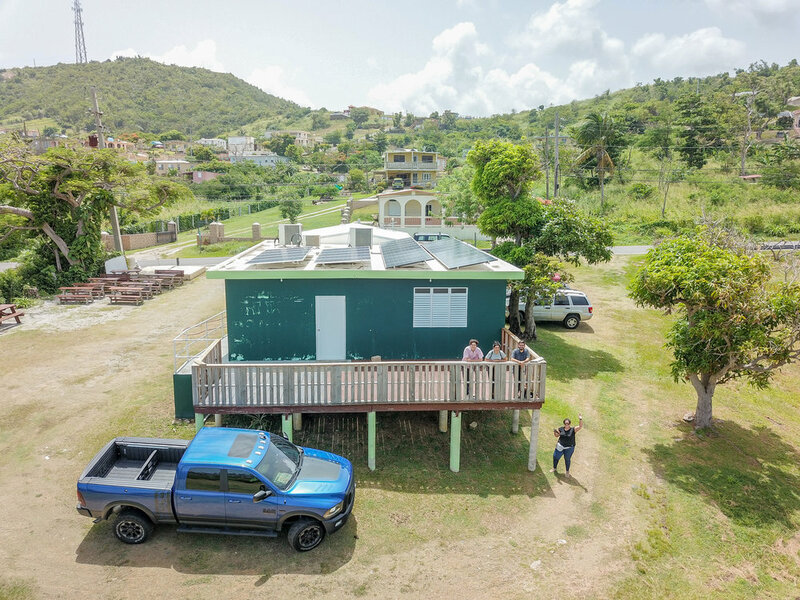 A special energy resiliency effort for the Playita Community in San Juan seeks to install 1.5KW solar energy systems at local community hubs. Residents of this informal settlement next to the San José Lagoon have long suffered from poverty, lack of formal infrastructure, vulnerability to flooding and other natural and anthropogenic disasters. The installations include public cell phone and computer charging stations as well as solar public lighting. the headquarters for a well-organized community committee which leads several social efforts to improve the local quality of life. The El Coquí community center is the headquarters for the local community committee, as well as for IDEBAJO, a local non-profit organization which serves as a link with other neighborhood groups in the municipality of Salinas. Boys and Girls Club offers children hope for a better future and opportunities for them to develop to their full potential. The Maunabo Pro-Development Commitee Inc, is a non-profit, community-based organization founded March 16, 1996. It is composed of citizens of all political ideologies and religious beliefs, united to enhance the quality of life for the people of southeastern Puerto Rico. This organization does this through the conservation of the natural environment.